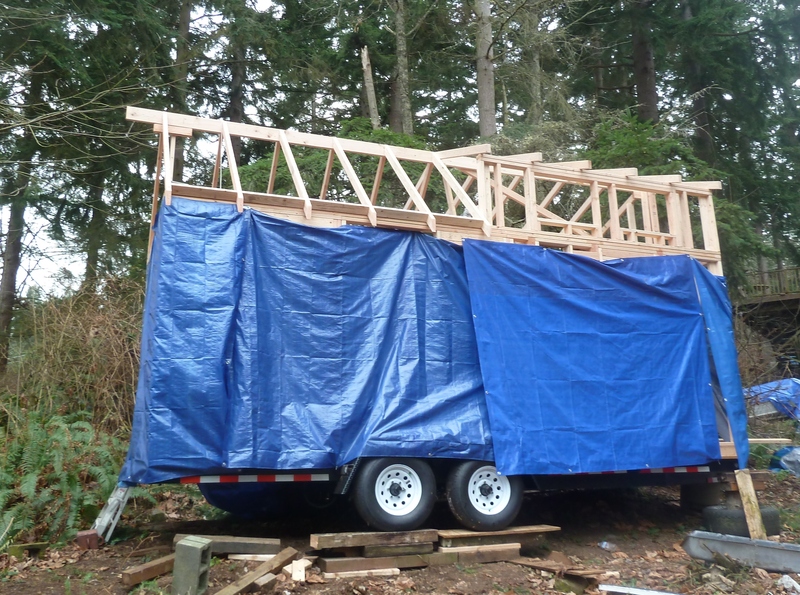 Tiny House Rafters are in Place! 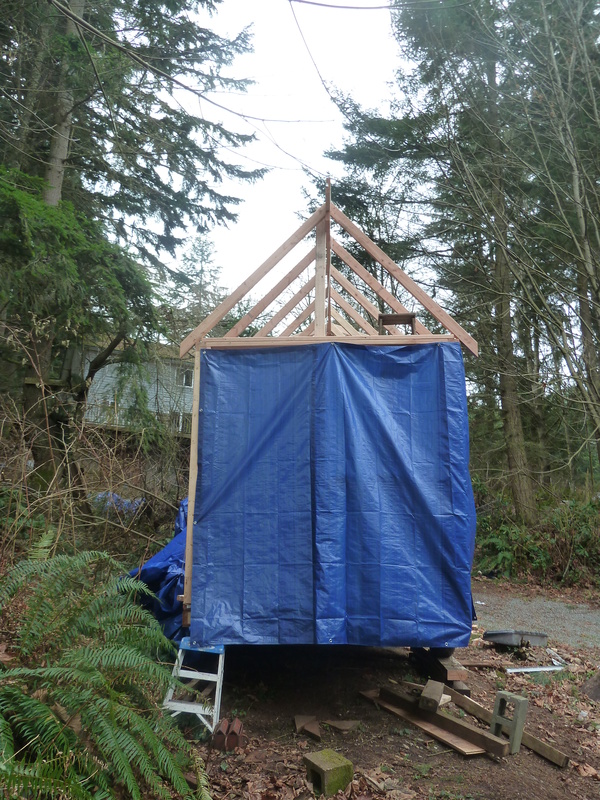 My Tiny House suddenly seemed real when the rafters went up! 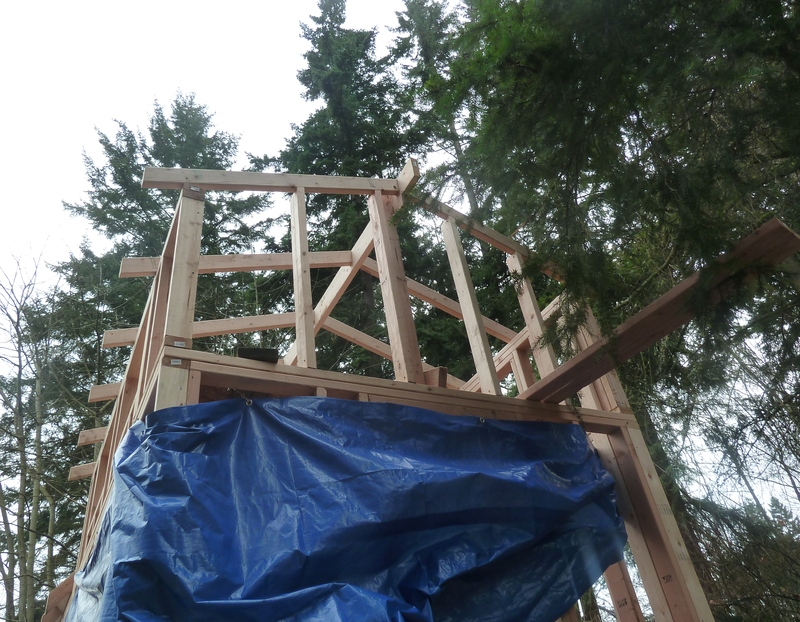 Now I can see how big it is and imagine the finished house. 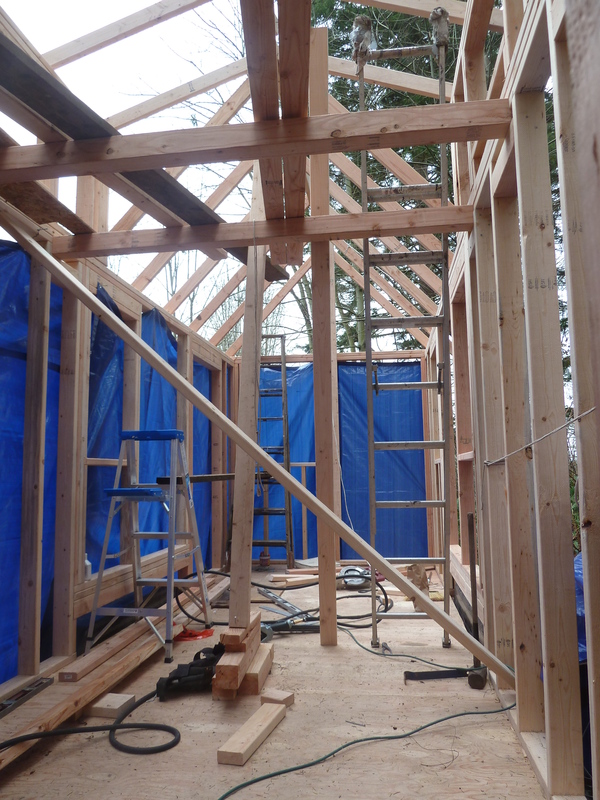 It is exciting! 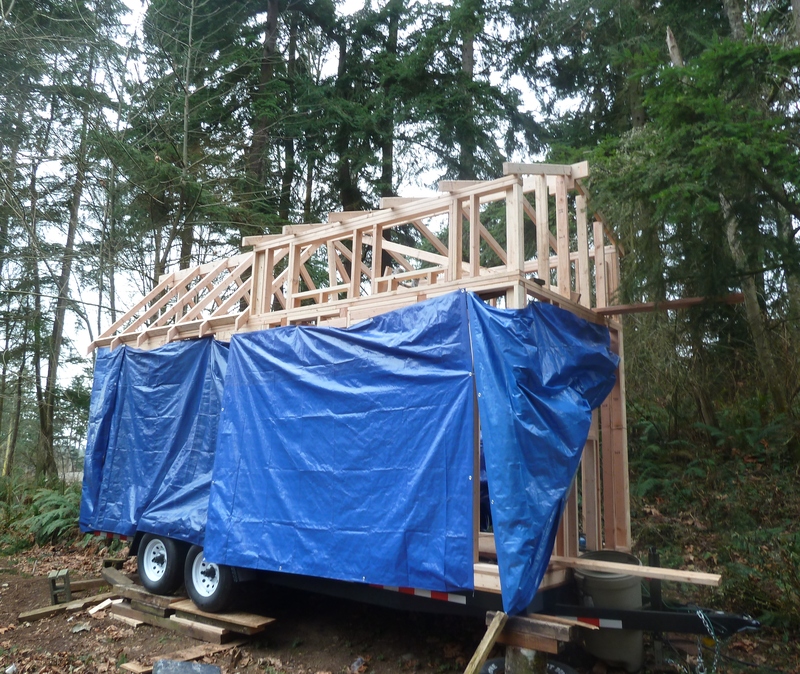 Inside of Tiny House framing. 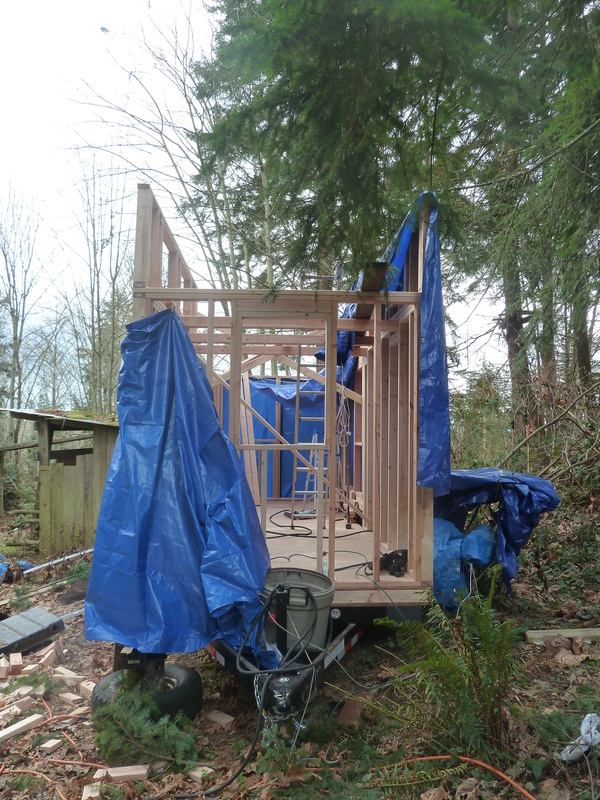 My Tiny House Walls Are Framed!